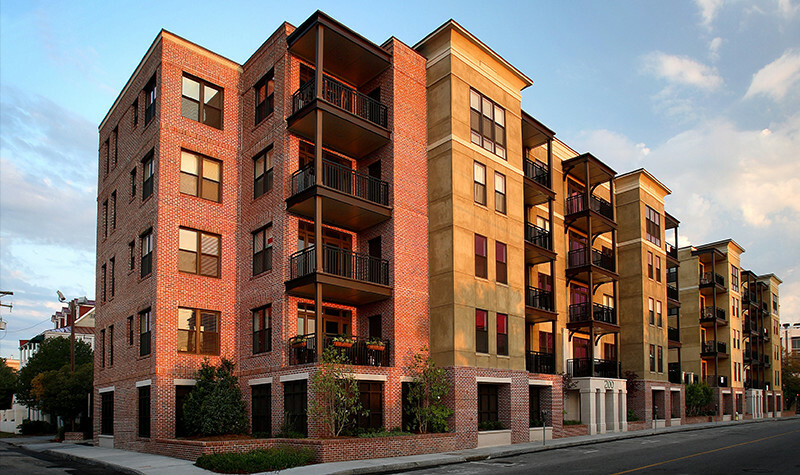 Thirty Three Calhoun is a luxury condominium community with classic and modern architectural design elements, located in the historic Ansonborogh area in downtown Charleston, South Carolina. The property is only steps away from local venues such as the IMAX Theatre, the South Carolina Aquarium, Fort Sumter National Monument, and many fine restaurants and boutique shops. 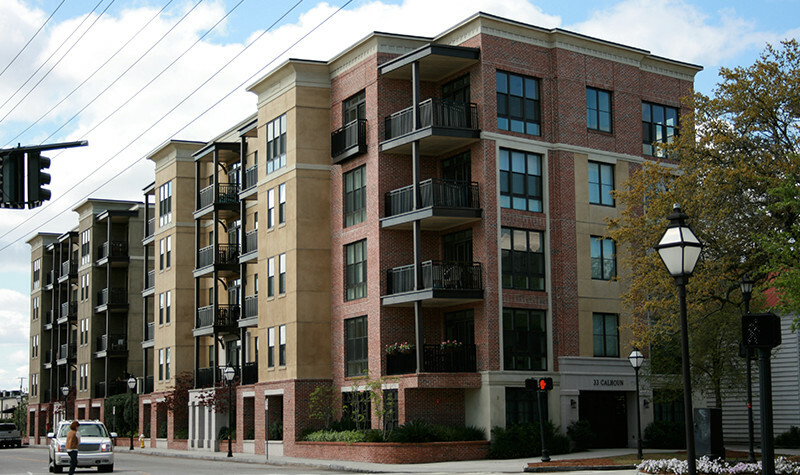 The community is situated on the corner of Calhoun and Washington Streets and consists of 32 condominiums. Upscale features include hardwood flooring, ceramic tile, granite countertops, soaking tubs, and GE Profile appliances. Many of the condos have views of the harbor and the beautiful Cooper River Bridge.